As we race towards summer some of my fellow Nerds of a Feather crew are going to share their summer reading lists with everyone. Unfortunately I have been too busy to write a detailed post, but here are some comics I am looking forward to reading this summer. Joe Hill is returning to his series The Cape with The Cape: Fallen. The first two series about the infamous cape are gut wrenching and I cannot wait to read a new series and see who gets killed. Other books I am planning on reading this summer include Lumberjanes, Mouse Guard, and a re-read of Bone. After the brutality that I am preparing for in The Cape, I definitely will be in need of some lighter books. 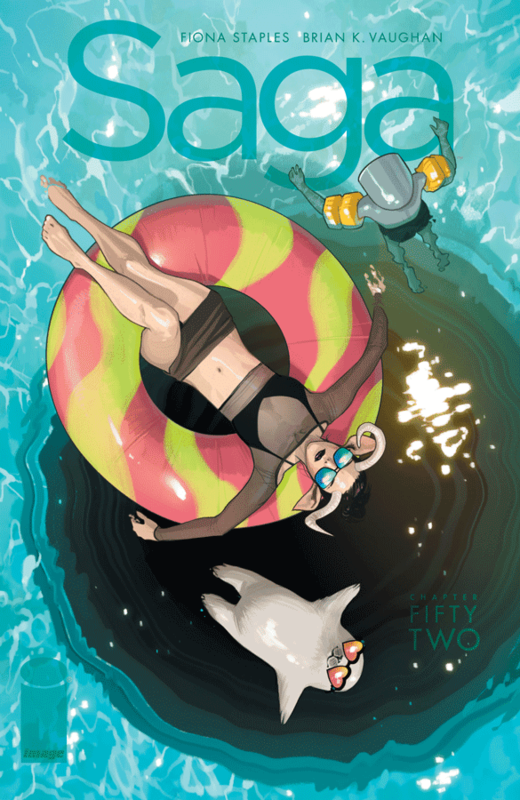 Saga #52 - The cover of this issue is going to be my theme for the summer and Fiona Staples might be the best artist in this industry. Hazel really hits it out of the park when she says "my father used to say that there's no such things as 'heroes' or 'villains', that they only exist in storybooks." The complicated and flawed characters that Brian K. Vaughan created really reward the reader as you go along the journey with them. The Will is still haunting the island and Squire has gone missing. This leads to a search as we see some of the most amazing creatures ever put to page. While I have always been a fan of Staples' art, it truly shines in this issue and steals the show from a very dramatic issue that has me salivating for the next few. 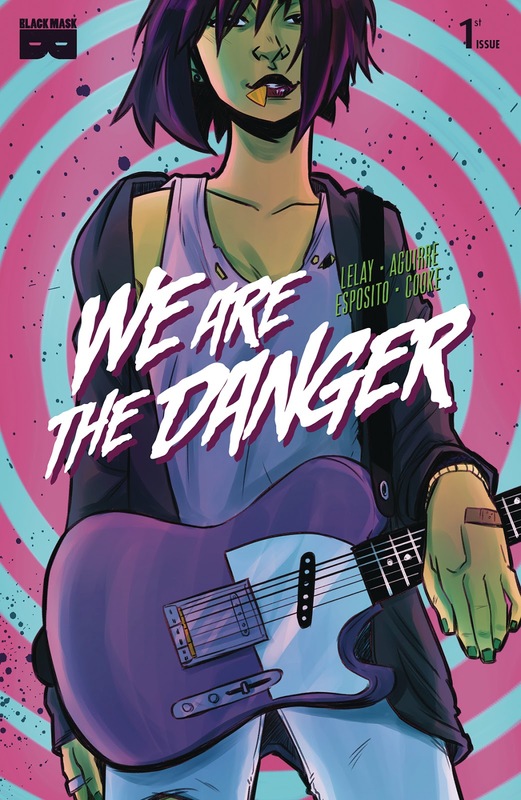 We are Danger #1 - Written and illustrated by Fabian Lelay, this title is all about rock and roll and gave me a very Scott Pilgrim vibe. Not from a video game reference standpoint, but from the standpoint of a focus on human relationships among competing bands. Tabitha breaks from her hit band in this first issue and starts putting together a new group with Julie and some other local talent. Featuring a cast of strong female characters and a song written in Filipino, this comic is a breath of fresh air and was a lot of fun. 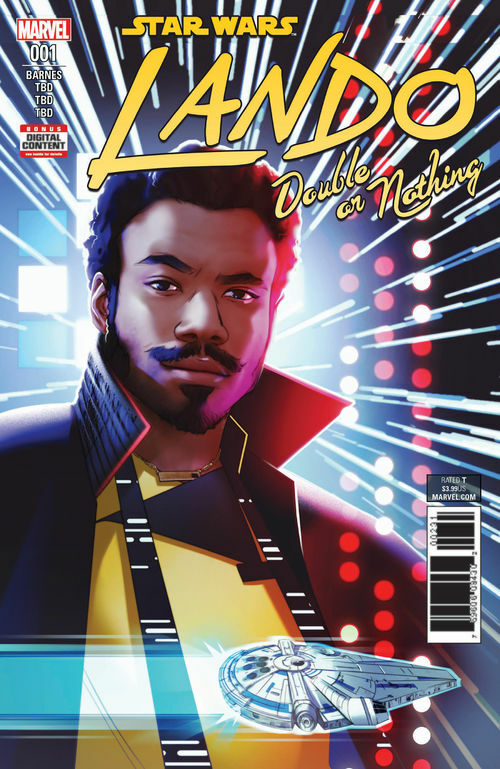 Lando: Double of Nothing #1 - Like Dean, I was also pleasantly surprised with Solo and was excited to learn that there was a spin-off focused on Lando. Artist Paolo Villanelli does an amazing job capturing the facial expressions of Donald Glover's portrayal of Lando and writer Rodney Barnes captures the feel of the banter between Lando and L3 to truly immerse you in this universe. While the first issue doesn't set the stage for anything too spectacular, it was enjoyable and well executed and is a must read for anyone that enjoyed Solo. 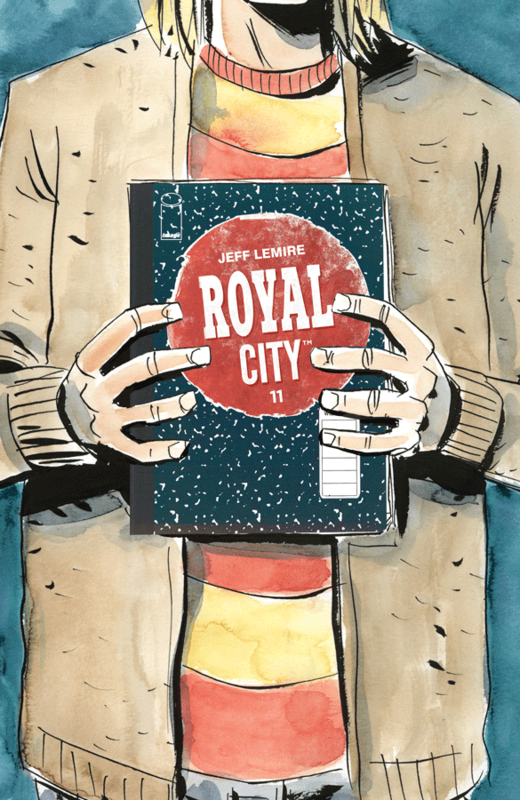 Royal City #11 - Jeff Lemire announced that this series will end with issue #14 and it seems like he is well on pace to provide a satisfactory conclusion to this emotional series. Each issue reveals a little bit more about the mystery surrounding Tommy's death and the rift between the various family members who are tangled up in this situation. Relying on seamless flashbacks laced throughout the issue, Lemire does a great job of leading us to two separate climaxes that have more linked than first expected. It is hard to imagine this series started out with a struggling author revisiting his hometown when his father was admitted to the hospital. We have learned more about the family and the town and I am excited, and a bit worried, about what is planned for the end.